If you use Facebook, you have probably been asked to give money to a nonprofit at least once to honor someone’s birthday, if not prompted to launch your own Facebook crowdfunding campaign. According to Mark Zuckerberg, “people have raised over $300 million for over 750,000 nonprofits” using Facebook’s birthday fundraising tool since it became available on August 16, 2017. 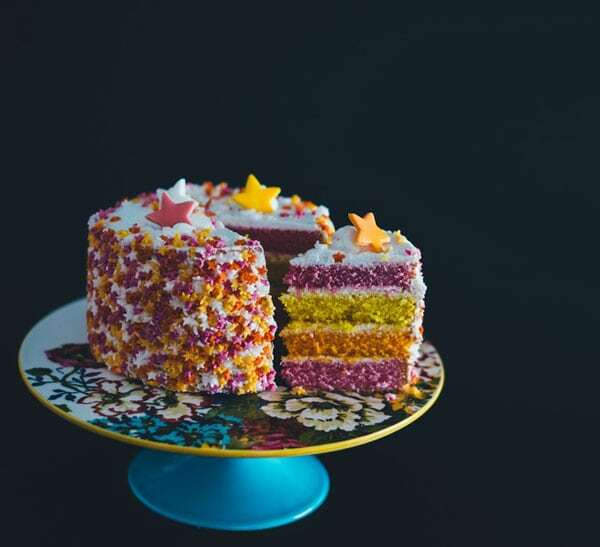 Facebook reports that St. Jude, the Alzheimer’s Association, the American Cancer Society, Share Our Strength—No Kid Hungry, and the ASPCA conducted the most successful birthday fundraising campaigns. Celebrities like NBA star Stephen Curry took advantage of it to raise money for Nothing But Nets, an organization that fights malaria. The Golden State Warriors point guard hoped to raise $30,000 for his 30th birthday and instead got $82,000. It’s doubtful that all or even most of the vetted US nonprofits using the Facebook platform received birthday gifts, but that’s a minor point. If you are among the causes late to the party, here is a Facebook page that describes how birthday fundraisers work. There are three ways a nonprofit can receive gifts made on Facebook. Twitter, Snapchat, and other platforms find ways to celebrate birthdays, but Facebook long ago owned this celebration online. In the summer of 2016, Facebook introduced Birthday Recap Videos, a 45-second collection of the top wall posts you received on your birthday and the following day. Today, several weeks before your birthday, Facebook prompts you to “Create a fundraiser to support a cause you care about, and we’ll take care of the donation processing with no fees.” Facebook helps you select a beneficiary nonprofit and answers more how-to fundraising questions than you would have thought there were to ask. It all started when Facebook rolled out its “Donate Now” button in 2013, when only a few organizations were listed as partners. Facebook introduced “Fundraisers” in 2015, and by 2016, more than 750,000 nonprofits were participating. In November 2017, Facebook removed the five percent transaction fee for all donations made to nonprofits on Facebook, regardless of the occasion. As NPQ recently reported, the Refugee and Immigration Center for Education & Legal Services (RAICES) raised the most funds—more than $17 million—on Facebook to date. These developments are framed as part of a broader effort for Facebook do “social good.” A few weeks ago, Facebook announced it would donate $5 to each new US birthday fundraiser. Facebook is increasingly making it easier for people to choose nonprofits aligned with their interests and for all birthday gift donors to learn more about the impact of their gifts. Facebook facilitates matching gifts and adding co-administrators or moderators to fundraising campaigns. Some people are not inspired by the “annoying” Facebook birthday prompts and offer advice on how to disable this feature. I get it: We all want to contribute to something larger than ourselves, and it’s wonderful to see more people “donating birthdays” to a charitable cause. This typically involves announcing on Facebook that your birthday is coming up, picking a not-too-crazy number to raise funds for a favorite charity, and watching the money roll in—coupled with a few helpful reminders, since your friends are lazy and could use a little encouragement to part with their cash. In concluding her Mashable article, Soraya Ferdman looks at possible ulterior motives for Facebook’s seeming generosity. The anniversary of the birthday fundraiser tool comes at an opportune time for Facebook, which has struggled to maintain public trust in the wake of debates over privacy settings, data collection, and controversial comments made by its CEO Mark Zuckerberg. In other words, now is an ideal time to remind the world that sometimes Facebook can be a force for good. In “Considering the Role of Crowdfunding in the Philanthropic Landscape,” we might also imagine that Facebook is merely competing with other popular crowdfunding sites in this billion-dollar business. By creating its own giving platform that allows users to donate without leaving its site, Facebook increases its value to advertisers. The elimination of the donation fee could be a shrewd business decision to gain market share to put competitors out of business.